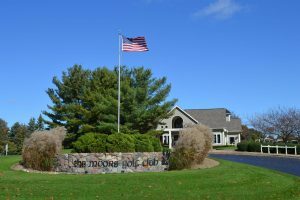 Located within the Woodbridge Hills neighborhood, The Moors Golf Club is a private 18-hole championship golf-only club located one mile east of US-131 off Centre Avenue in Portage, Mich. We’ve hosted the U.S. Amateur Qualifier, Michigan Junior Amateur, U.S. Open Qualifiers, and the Michigan Amateur. The Moors is a golf enthusiasts club! Members enjoy a meticulously maintained Arthur hills designed golf course, no food or drink minimums, and no overhead for banquet rooms, pools, or tennis courts. Easy to join. Easy to love. The Moors Golf Club is a 633 Group property and follows the same core values. Learn more about The Moors Golf Club and other team members. This private club is another successful 633 Group property. Contact us and visit our Facebook page if you’re interested in getting to know more about The Moors Golf Club and membership.